Lagos Real Fake Life tells stories of the bogus and phony lives of the residents of Lagos state, Nigeria. With great reluctance and low expectations, I went to the cinema to see this film but despite my lowered expectations, I was still shocked by how subpar it was! Usually, for a production to be considered as a film, it would contain some semblance of a plot which would be conveyed by the film’s cast. However, Lagos Real Fake Life fails on this note as it had no real plot since the film was basically a mash up of Instagram skits. The characters were all over the place without any real direction that one doubts that this film was even scripted and not an improv or freestyle. It does not require mental exertion to understand/grasp. Similarly, I feel it doesn’t require that much intellectual input to shoot either. There is an audience for such films. I learnt my lessons from Alakada Reloaded, that there are Nigerians who find this kind of films hilarious. It will make money for the producers so who cares if its a subpar film. 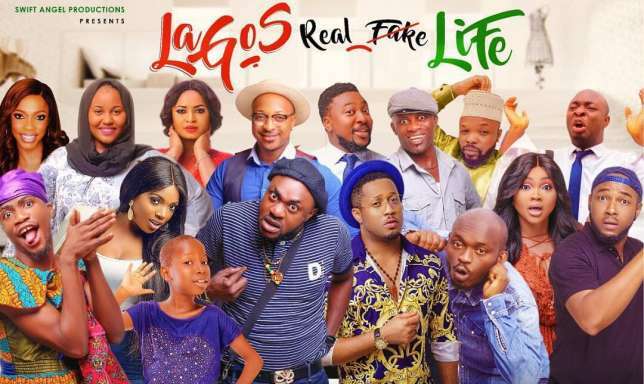 I just confirmed that in its first 3 days of release, Lagos Real Fake Life made 26.4m! So why won’t they keep making such films? Lagos Real Fake Life isn’t a film for me, but it may work for you so feel free to tell me what you think of it. Am I being too harsh or just like the characters in the film, am I also faking poshness? Let me know in the comment section below or on Twitter and Facebook.